Terry Pratchett was the U.K.’s best-selling author during the 1990s until J.K. Rowling snatched his title. But, he still holds the record for most books shoplifted. (That is, his books were shoplifted most, not that he shoplifted the most books — we have no idea how many books Mr. Pratchett has shoplifted). Terry Pratchett has also written a sci/fi children’s trilogy called Johnny Maxwell. Terry Pratchett died on March 12, 2015. He had been battling early onset Alzheimer’s disease. Here is Terry Pratchett’s website. Discworld — (1983-2015) Discworld is a satirical fantasy world created by Terry Pratchett to poke fun at 1980s fantasy novels. Since then, they’ve evolved so that they now make fun of everything. Mr. Pratchett explains Discworld: “The world rides through space on the back of a turtle. This is one of the great ancient world myths, found wherever men and turtles are gathered together; the four elephants were an indo-European sophistication. The idea has been lying in the lumber room of legend for centuries. All I had to do was grab it and run away before the alarms went off… There are no maps. You can’t map a sense of humor. Anyway, what is a fantasy map but a space beyond which There Be Dragons? On the Discworld we know There Be Dragons Everywhere. 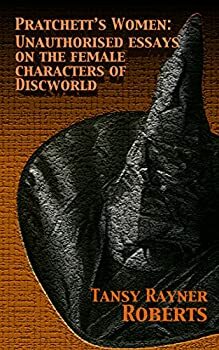 They might not all have scales and forked tongues, but they Be Here all right, grinning and jostling and trying to sell you souvenirs.” The Discworld novels are presented here in publication order. To read more about the Discworld “arcs” and reading order, see this Wikipedia article. Most of these are available in audiobook and audio download format. The Color of Magic, published in 1983, is the first book in Sir Terry Pratchett’s enormously popular DISCWORLD series. The Disworld is a flat world which rides on the back of four elephants which ride on the back of a giant turtle named Great A’Tuin. 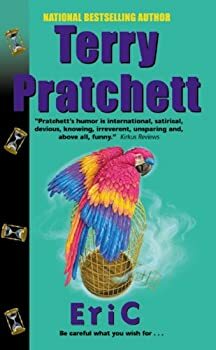 The DISCWORLD novels are humorous, satirical and spoofy, often making fun of their own genre and various real-world cultural and political issues and institutions. Before HARRY POTTER, Terry Pratchett was the UK’s top selling author. 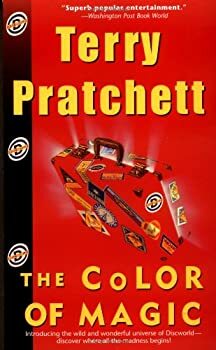 The Light Fantastic is a direct sequel to Terry Pratchett’s first DISCWORLD novel, The Color of Magic, in which we met the failed and cowardly wizard Rincewind, his traveling companion Twoflower (a rich and naively brave tourist), and Twoflower’s animated sentient Luggage. I believe that The Light Fantastic is the only DISCWORLD novel that’s a direct sequel of a previous novel. 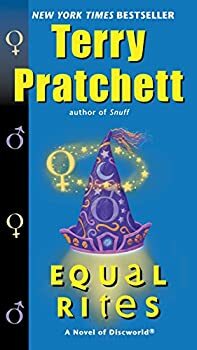 When a wizard on the Discworld knows he’s about to die, he passes on his staff and magical powers to the eighth son of an eighth son who is being born at that time. So, that’s what the wizard Drum Billet does just before his death — he passes on his powers to the baby who’s just been born to the Smith family. 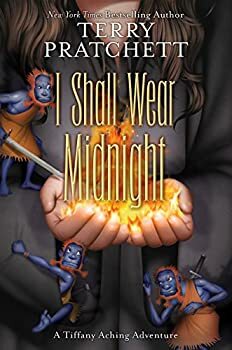 But nobody notices in time that Eskarina Smith is not a boy... Several years later Esk realizes she’s got some uncontrollable powers so she, along with her friend Granny Weatherwax, the local witch, sets out to find her place in a world where women do not have equal rights. Mort is the fourth of Terry Pratchett’s DISCWORLD novels. It stands alone, meaning that you don’t need to read the previous novels to enjoy Mort. It’s better than the previous novels, too, so it might be a good place for new readers to start. Mortimer is a naïve but pensive — and therefore slightly odd — young man who doesn’t fit in with his farming community. It looks like he’s going to be jobless until Death arrives and chooses him as an apprentice. Why does Death need an apprentice? He has become bored with his immortal life and wants to travel to Ankh-Morpork so he can experience some humanity. Sourcery begins as Ipslore the Red is about to die — or, more accurately — it begins as Death is coming to collect Ipslore’s soul. Wizards can see Death, so some plan to negotiate terms before departing. Ipslore is an eighth son and a wizard. Banished from Unseen University for marrying and having children, Ipslore manages to create a magic staff for his own eighth son, a newborn he has named Coin, just before he dies. Coin, being the eighth son of an eighth son, is not just a wizard — he’s a sourcerer. And instead of dying, Ipslore transfers his being into the staff, cheating Death, so that he can guide Coin’s destiny. Wyrd Sisters is a fun, lively book. 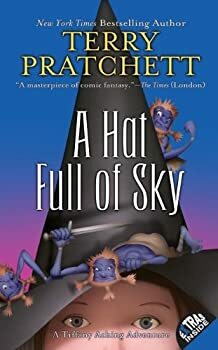 It’s definitely a bit on the light side compared to some of Pratchett’s later works – more parody and less satire, if you like – but there’s nothing wrong with a jocular, easy-going read. 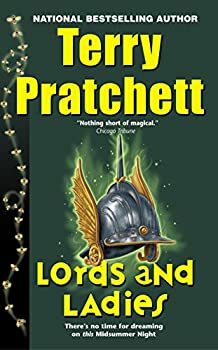 Indeed, while it perhaps lacks something of the punch one might find in Mort or Small Gods, this installment is probably one of the better entry points for DISCWORLD, readable and endearing. It seems there is no subject too big or too small, too esoteric or too familiar, that Terry Pratchett won’t tackle in DISCWORLD. His 1989 Pyramids, seventh in the series, sees the author exploring Egypt and just entering the groove that would become more than forty novels in the DISCWORLD setting. 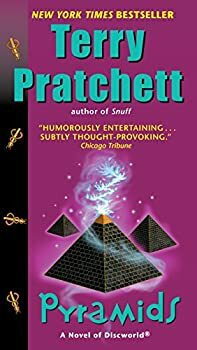 The humor in Pyramids is some of Pratchett’s best, but the book still leaves something to be desired for plot. As such, I’m guessing it won the 1989 British Science Fiction Award for historical grounding, wordplay, stabs at theme, and accomplishments to date, rather than consistent storytelling or characterization. Guards! Guards! 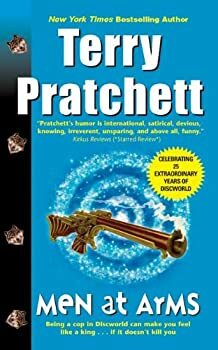 is Terry Pratchett’s eighth Discworld novel and the first to feature the Anhk-Morpork City Watch. Guards! Guards! is among the best of the Discworld novels and is a possible entry point for readers new to Pratchett’s body of work. Up to this point I’ve always enjoyed Terry Pratchett's DISCWORLD books, and Faust Eric was no exception in that regard. It was a fun read. Still, I'm not as big of a fan of the Rincewind books as I am of some of the other DISCWORLD books centered around his other characters. Nothing against the cowardly, inept wizard Rincewind, I mean, Lord knows I'd probably react to the dangers of Discworld the same way he does, which is to turn tail and run whenever possible. However, overall I prefer the Witches books, or the Guards, or the Moist von Lipwig books to most of the Rincewind books. Citizen Kane is considered by many connoisseurs to be the greatest film of all time. 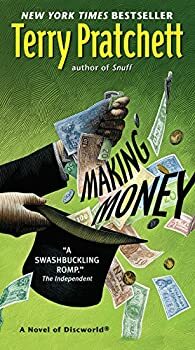 Channeling the idea of empire through the life of a mysterious magnate, it is a drama telling the bittersweet story of the glory days of wealth, the inevitable fall, and how its biggest dreams are left unfulfilled. Half a century later, with numerous new forms of media having been adopted into mainstream culture, comes Terry Pratchett. Practically creating a new form of media of his own, he decided to overlay Hollywood onto the template of Citizen Kane. The weight of elephants behind it, 1990’s Moving Pictures is the same bittersweet result. People have been telling me to read Terry Pratchett’s DISCWORLD books for ages, but I was always a bit intimidated by the sheer number of books he has produced. Finally, I decided to just start reading them in publication order. I have advanced to Witches Abroad, the twelfth book in publication order and the third book featuring the witches. At this point Pratchett’s got me firmly hooked. The Witches are not my favourite set of characters — I consider Guards! Guards! the best DISCWORLD novel I have read so far — but I enjoyed this particular book a lot. 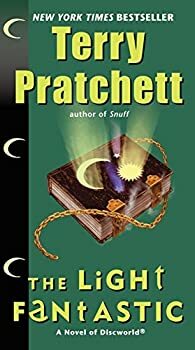 Small Gods (1992) was the first DISCWORLD book I read, and it made me love the series. 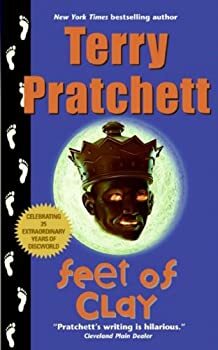 I reread it recently, and, allowing for certain themes that repeat in all the DISCWORLD books, I found I still enjoyed it. 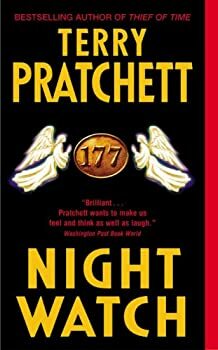 Pratchett delivers a message on the nature of hypocrisy, fanaticism and faith, with lots of smartypants good fun along the way. Brutha is a novice at the Temple of the Great God Om. While Brutha is a hard worker and a well-meaning lad, he neither reads nor writes and he’s kind of a simple soul. Only two things make Brutha different; an amazing memory, and an unalloyed, bright-burning belief in the Great God Om. These two things will make him the most important person in Discworld… at least to Om. 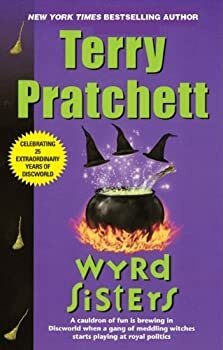 In Lords and Ladies, Terry Pratchett’s fourteenth DISCWORLD novel, we get to see what happened to the land of Lancre after Granny Weatherwax, Nanny Ogg and Magrat Garlick stirred things up and changed its fate in Wyrd Sisters. You don’t need to read Wyrd Sisters first to enjoy Lord and Ladies, but some familiarity with the witchy ladies might add to the enjoyment. Please note that in writing this review, I can’t help but spoil one aspect of the ending of Wyrd Sisters. Odd though it may be, most people agree that Ankh-Morpork is a city that works. Its citizens pay dues to the Thieves Guild so that they will not be robbed, and because the city’s leader, Havelock Vetinari, was a member of the Assassin’s Guild, there is little chance that he will be overthrown through assassination. (The assassins would of course kill Vetinari, but the price they have listed for his head is prohibitive). The guilds all agree that they would be worse off without Vetinari, which is odd considering that he seeks to modernize almost every aspect of the city. Marion and I both read Maskerade around the same time. I listened to Nigel Planer narrate the audio version (he's so good) while Marion read the book in print format. She joins me here as we discuss this DISCWORLD story featuring the witches of Lancre. The City Watch is growing, and its new members bring new skills and talents to help stop crime in Ankh-Morpork. Angua, a werewolf, can trace criminals by their smell, while Detritus, a troll, interrogates suspects by “screaming angrily at people until they give in.” Cheery Longbottom is Vimes’ newest recruit, an alchemist, and perhaps the only dwarf in Ankh-Morpork who does not enjoy rowdiness. The criminals had better be careful. In fact, the Watch has become so effective that the rich and powerful are hiring assassins to kill Commander Samuel Vimes. Fortunately, now that Vimes is married to the wealthiest woman in the city, he can afford the best crossbows and bear traps. Up, Gouger! Up, Rooter! Up, Tusker! Up, Snouter! Apparently they celebrate something like Christmas – Hogswatch – on the Disc. Why not? 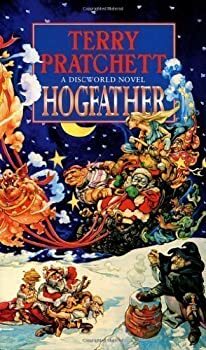 Children write letters to the Hogfather, who travels around the world delivering presents in a sleigh pulled by hogs. But no one really believes in the Hogfather, right? Sadly, the Auditors have decided to hire Ankh-Morpork’s Assassins Guild to delete Discworld’s Hogfather, or the Fat Man, as they call him. It’s an unusual assignment, thinks Lord Downey, since the assassins don’t believe that the Hogfather exists. How can they fulfill the contract? However, a particularly ingenious (and psychopathic) assassin, Teatime, thinks he can do the job. Sam Vimes has changed a great deal since he was introduced in Guards! 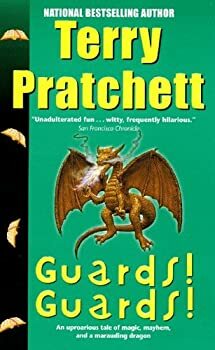 Guards!, the first DISCWORLD novel to feature the City Watch of Ankh-Morpork. He has given up booze, he is happily married, and he is now wealthy. The Watch has grown under his leadership as well. Its ranks now include werewolves, gargoyles, dwarves, trolls, and even zombies. As Commander, Vimes should devote most of his time to paperwork, but he prefers to spend his time on the streets, which have grown restless. 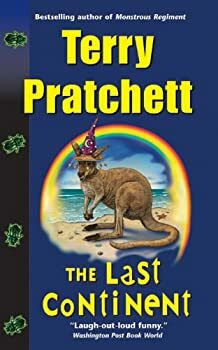 In The Last Continent, Terry Pratchett sends Rincewind and the Unseen University wizards to Xxxx (Fourecks), which, the narrator explains, is not Australia. 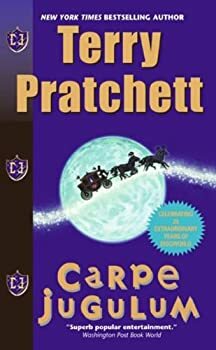 Carpe Jugulum (1998) is book 23 in Terry Pratchett’s DISCWORLD series. 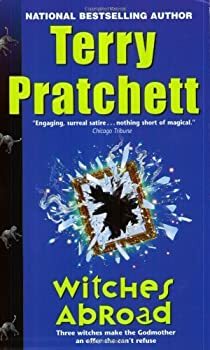 Like most of his books, this one could stand alone, but it will be most appreciated by those who are familiar with the Discworld and, in this case, Pratchett’s loveable witches — Granny Weatherwax, Nanny Ogg, Magrat Garlick, and Agnes Nitt. I’d advise reading Wyrd Sisters, Witches Abroad, Lords and Ladies, and Maskerade first. Lord Vetinari is dragging Ankh-Morpork and its City Watch into the modern age, but not everyone is happy. Now, instead of just leaving their carriages on the street, people that stop traffic and business will have to watch as a troop of trolls hauls their carriage away (unless they can afford to bribe Sergeant Colon). And although many of Ankh-Morpork’s dwarfs still cling to the old ways, others have begun to act radically: female dwarfs like Cheery Littlebottom not only admit that they are women but have also begun to wear… dresses! 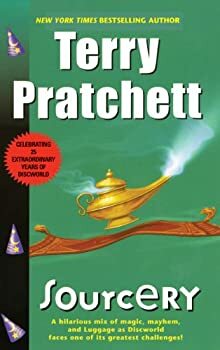 The truth about Sir Terry Pratchett’s novel The Truth is that for the first time a DISCWORLD book failed to satisfy me. 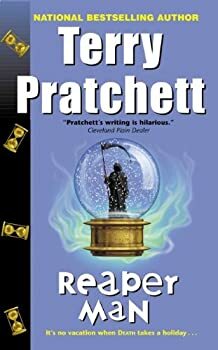 While there is nothing seriously wrong with the story, the feeling that Pratchett was bolting set pieces together to make a whole overwhelmed the general fun of the book. Note: Terry Pratchett's The Last Hero works without the illustrations, but you don’t want to miss out on Paul Kidby's fabulous Discworld art. 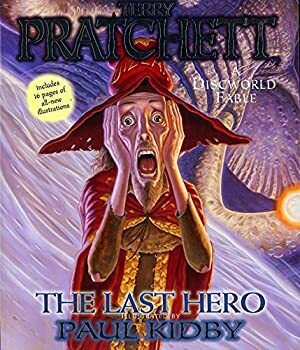 The Last Hero follows the trail of several popular Discworld characters and this is the closest you'll get to a world-spanning crossover. There's no real villain in the story — simply lots of good guys working on opposite ends. 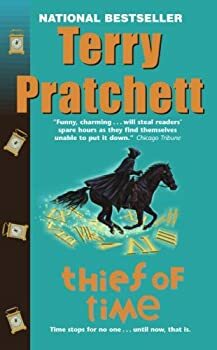 Thief of Time is Terry Pratchett’s 26th official entry into the DISCWORLD series. 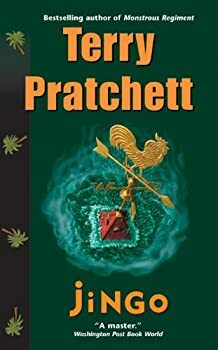 Published roughly six months after The Truth and six months before The Last Hero, Thief of Time finds Pratchett in good form, extemporizing on the scientific quest to put time in a bottle versus more transcendental ideologies revolving around passive regard to the great clock of life (pun intended for those who’ve read the book!). Sam Vimes of Ankh-Morpork’s City Watch has all but arrested Carcer, a serial killer who specifically targets members of the Watch, when they are thrown back in time. Time travel is always inconvenient, but it is particularly trying for Sam Vimes, who is about to become a father. 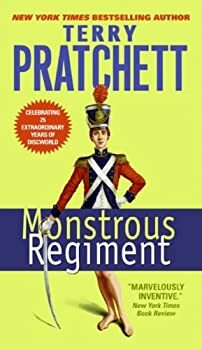 Worse, Vimes soon realizes this time in Ankh-Morpork’s history is especially awful because the city is about to revolt against the Patrician, Lord Winder. The people will revolt, Vimes remembers, and cavalrymen will put them down. When searching for a strong conflict to anchor a story, most fantasy authors rely on dragons, invading hordes of orcs, and universe-ending supernatural beings and phenomena. In Going Postal, Terry Pratchett tries to save Ankh-Morpork’s post office. Oddly, by aiming lower – just saving the post office? – I felt that Pratchett had taken more of a gamble than his more bombastic peers. 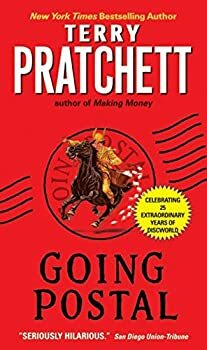 Then again, Going Postal is the thirty-third novel in Pratchett’s spectacularly successful DISCWORLD series, so he has little to lose. Why not write a novel about what must be the most mundane premise fantasy has ever seen? Finally the origins of Koom Valley are explained. Commander Vimes of the City Watch, and Duke of Ankh-Morpork, is desperatly trying to solve the mystery of one dead dwarf. And who is Mr. Shine? What does he have to do with the death of Grag Hamcrusher? And what, oh what, is he to do about the vampire in the watch? Commader Vimes solves the crime in his usual no-nonsense, magic-is-not-part-of-crime-solving, politics-is-for-politicians-not-coppers way. 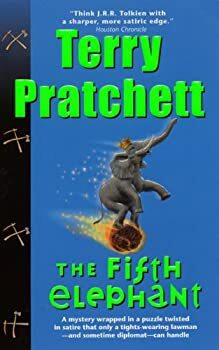 Terry Pratchett has once again created a hilarious story with twists and turns and answers no one would have dreamed. If you are not a Dsicworld fan, you will become one once you read this book. Borogravia is at war with Zlobenia, and the war is going badly for the Borogravians. Polly has stayed home to run her family’s pub, The Duchess, while her brother Paul has been away at the front. It’s been weeks since Polly has heard from her brother, and she worries that since women cannot inherit property in Borogravia, her family might lose The Duchess if her brother is lost. Besides, there’s no one else left to enlist, so young Polly decides it’s time to join the army. Unfortunately, given that women in Borogravia are not allowed to own property, it is no surprise that they are also prohibited from enlisting in the army. Polly disguises herself as a boy and signs on with Sergeant Jackrum’s Ins and Outs. In order to fit in, Polly practices belching, picking her nose, and scratching herself. 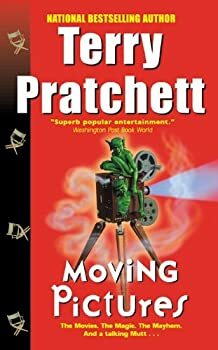 Terry Pratchett’s Making Money is the thirty sixth Discworld novel, and the second to feature Moist von Lipwig as its hero. Traditionalists will point out that Moist is not very heroic. In fact, he is a conman. Then again, in a city led by an assassin, perhaps a conman is the perfect candidate to run an institution like the Post Office. That was the premise of Going Postal, which introduced us to Moist. 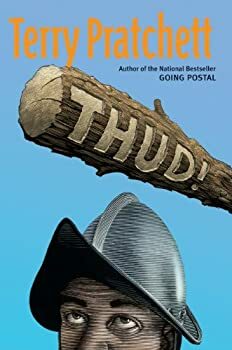 Although Moist’s struggle to save the post from the crooked Grand Trunk Company was surprisingly adventurous, he finds that the post office has become a bit dull after a year of smooth operation. Many Terry Pratchett fans will tell you that his DISCWORLD novels are really social satire masquerading as fantasy. With the more recent installments, this has become even more apparent, as they have often taken on a very specific subject or theme. The Truth: Terry Pratchett about journalism. Making Money: banking. Going Postal: well... the postal service. 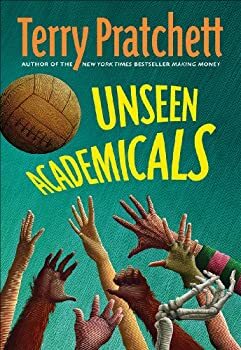 The most recent addition to the series, Unseen Academicals, is another example of this, as it takes on sports, with a minor focus on the fashion industry. Snuff is Terry Pratchett’s latest DISCWORLD novel to feature the City Watch. Well, actually, the City Watch is largely absent. Lady Sybil, insists that she and Commander Sam Vimes take their son, Young Sam, to the countryside for a vacation. The vacation begins smoothly. Vimes and his family retreat to the country, where Vimes encounters Sybil’s well-to-do peers. Vimes hobnobs, or tries to, but he finds the nobility a bit stuffy. Still, he is the Duke of Ankh and does not want to disappoint Sybil, so he tries to fit in. The awkwardness of these exchanges makes up the much of the humor of the novel’s opening scenes. 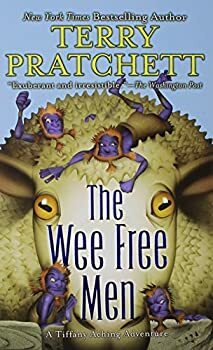 The rest of the humor in the novel consists of Young Sam’s enthusiasm for “poo,” a word that Young Sam and Pratchett can’t get enough of in Snuff. 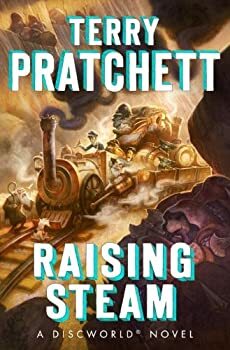 The latest entry in Terry Pratchett’s sprawling DISCWORLD series, Raising Steam, is an example of what I call the “innovation” series-within-the-series. Just like there are sets of books that focus on specific characters and areas of the Discworld, there’s an increasingly large set of books that take on specific technological innovations entering the fabric of Discworld society. 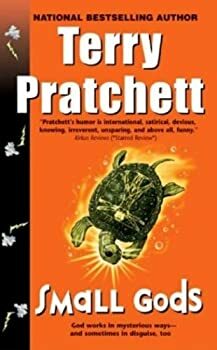 Given the light-hearted yet poignant nature of Terry Pratchett’s DISCWORLD, it is surprising that so few of the dozens of books in the series are Young Adult oriented. One of these is The Amazing Maurice and His Educated Rodents, and it can readily be enjoyed by adults, as well. 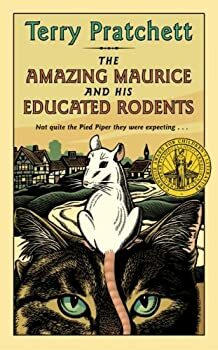 Playing with the legend of the Pied Piper, The Amazing Maurice and His Educated Rodents is the story of Maurice the cat, his band of talking rats, and the teenager Keith with whom they travel city to city. Running a scam, the preening, egotistical Maurice works as a middle man for Keith and the rats, the former earning money by playing the pipe to eliminate the rats who have made themselves a nuisance under Maurice’s guidance, the group sharing in the spoils. A Hat Full of Sky: With great power…. Tiffany is not convinced when her peer Annagramma explains that magic is a power that signals one’s status. In Annagramma’s view, the witches study arcane and obscure subjects in order to set themselves apart from society, and all of the other young witches seem convinced by her reasoning. Tiffany may not admit it, but she is insecure about her status among the young witches. Secretly, she wishes to reveal her power to them. The hiver understands Tiffany, and when it takes over her mind, Tiffany makes her wishes come true. The older witches warn Tiffany Aching not to join in the dark Morris dance, but the soon-to-be-thirteen-year-old, who is usually so sensible, suddenly finds that she cannot resist her feet’s urging. Swept away in the heat of the moment, the young witch joins the magical dance before anyone can stop her. She afterwards learns that she has danced with the Wintersmith. Winter himself becomes fascinated with Tiffany, whom he mistakes for the summer goddess. 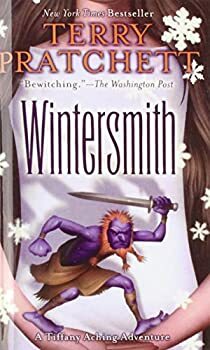 When the snow begins to fall, Tiffany discovers that every snowflake looks like her and that the Wintersmith is trying to become a man so that they can be together in a permanent winter. She soon learns that her feet have become fertile, and they now cause plants to grow wherever she walks. When Tiffany thinks about her age, she thinks that she’s “nearly sixteen.” On the Chalk, “nearly sixteen” means, for many girls, thinking about marriage. Tiffany might lack her peers’ enthusiasm for boys, but she has delivered babies and tended to the terminally ill. Tiffany has dealt with domestic abuse. As a witch, Tiffany’s job is to take care of everyone, the young and the old alike, and to face the things, every day, that people just do not like to face. Tiffany is wise beyond her years, and she’s certainly not thinking about boys and marriage. But Tiffany does know that Roland is getting married to a bimbo. But children do ask her whether witches even have “passionate parts.” But she did kiss the Wintersmith. 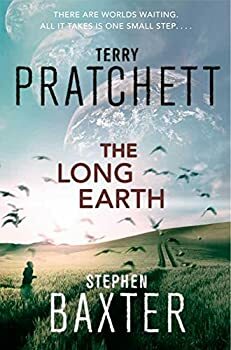 The Long Earth by Terry Pratchett and Stephen Baxter is a really interesting book without being a particularly good one. 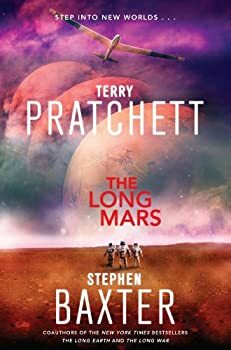 The Long Mars by Terry Pratchett and Stephen Baxter still features egregious prose, but it finally begins to tie in some of the unresolved plotlines from earlier books in the LONG EARTH series. 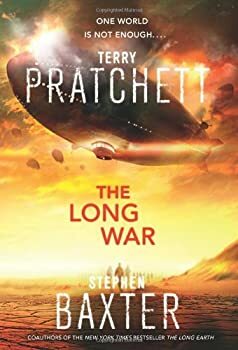 We now understand why Roberta (from The Long War) seemed so different; we find out where Willis Linsay, Sally Linsay's dad and the inventor of the Stepper, has been hiding; and we see more of the Long Earth exploration as the Chinese and the Americans team up to go "where no man has gone before." The bad news for the world is this: the apocalypse is nigh and all of humanity will soon face their final judgement. The good news? A Bentley-driving demon and an angel who is ‘gayer than a tree full of monkeys on nitrous oxide’ have decided that they rather like humanity and are going to try and save it. 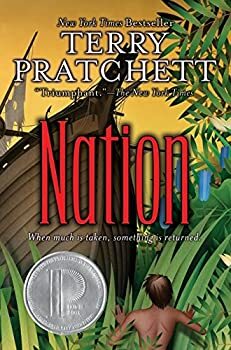 Mau returns home from a rite of passage concerning his transition from boyhood to manhood to discover that every member of his island village, the “Nation,” has been killed in a tidal wave. Who will teach him to be a man now that he has only himself to rely on? Daphne, a distant heir to the British throne, is shipwrecked on a small island in the ocean. She has received the best education that a woman of her station can receive in Victorian England, so she is well versed in English customs, traditions, and manners. Will this education be enough to get her through this “Robinson Crusoe” survival adventure, or will she have to use her wits to survive? A Slip of the Keyboard collects much of Terry Pratchett’s non-fiction. In speeches, articles, and letters, Pratchett holds forth on a variety of subjects, ranging from book tours to hats to policies relating to Alzheimer’s and assisted dying. He also discusses Australia, conventions, and his development as a writer. 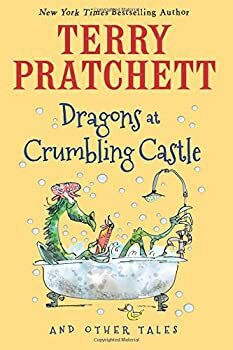 Dragons at Crumbling Castle is a collection of fourteen stories written by Terry Pratchett and illustrated by Mark Beech. Each page of the books is covered in wacky fonts or scribbles to emphasize certain words and phrases, and the lines of print are double-spaced to promote easy reading for young eyes. The entire book is clearly engineered for elementary school readers. 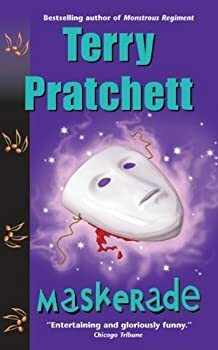 The stories were written when Pratchett was a teenager, working for his local newspaper; Pratchett writes in the Introduction that he touched them up a little before publication, though much of the weakness of style and craft which are to be expected from such an immature writer still remain. The Bromeliad Trilogy — (1988-1990) Ages 9-12. The omnibus edition contains all three novels: Truckers, Diggers, Wings. Publisher: In a world whose seasons are defined by Christmas sales and Spring Fashions, hundreds of tiny nomes live in the corners and crannies of a human-run department store. They have made their homes beneath the floorboards for generations and no longer remember — or even believe in — life beyond the Store walls. Until the day a small band of nomes arrives at the Store from the Outside. Led by a young nome named Masklin, the Outsiders carry a mysterious black box (called the Thing), and they deliver devastating news: In twenty-one days, the Store will be destroyed. Now all the nomes must learn to work together, and they must learn to think — and to think BIG. 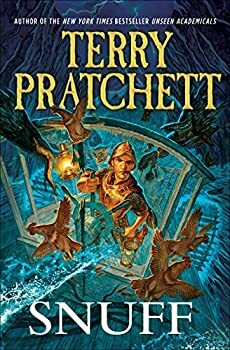 Part satire, part parable, and part adventure story par excellence, master storyteller Terry Pratchett’s engaging trilogy traces the nomes’ flight and search for safety, a search that leads them to discover their own astonishing origins and takes them beyond their wildest dreams. The Carpet People — (1971) Publisher: In the beginning, there was nothing but endless flatness. Then came the Carpet… That’s the old story everyone knows and loves. But now the Carpet is home to many different tribes and peoples and there’s a new story in the making. The story of Fray, sweeping a trail of destruction across the Carpet. The story of power-hungry mouls — and of two Munrung brothers, who set out on an amazing adventure. It’s a story that will come to a terrible end — if someone doesn’t do something about it. 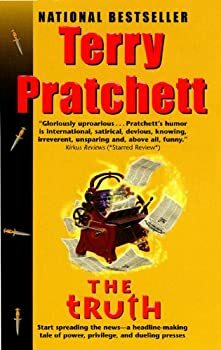 If everyone doesn’t do something about it … Co-written by Terry Pratchett, aged seventeen, and master storyteller, Terry Pratchett, aged forty-three. The Dark Side of the Sun — (1976) Publisher: For Dom Sabalos, heir to an immensely rich family, its forecasts were curiously contradictory: he would be assassinated, and after that, find the fabulous, almost mythical, world of the Jokers, who were only known by a few incredible artifacts scattered throughout the Galaxy. Any good P-Mathematician could find out this information. Somebody certainly wanted to prove P-Math wrong as far as Dom was concerned, and make sure that once he was dead, he stayed dead. A robot assassin, with built-in ‘luck’, had been put on his tail, but what was it that protected Dom every time the assassin struck? To be sure, he had an excellent robot servant, Isaac; (class 5with Man-Friday subcircuitry), a planet (the First Syrian Bank)as a god-father, a determined and protective grandmother (who looked as if she had been born aged eighty), a security chief who even ran checks on himself, and a home world, where a missing hand was only a minor mishap and even death was not always fatal. But what protected Dom on his search for the world which he knew lay on the dark side of the sun? Dodger — (2012) Publisher: A storm. Rain-lashed city streets. A flash of lightning. A scruffy lad sees a girl leap desperately from a horse-drawn carriage in a vain attempt to escape her captors. Can the lad stand by and let her be caught again? Of course not, because he’s… Dodger. Seventeen-year-old Dodger may be a street urchin, but he gleans a living from London’s sewers, and he knows a jewel when he sees one. He’s not about to let anything happen to the unknown girl — not even if her fate impacts some of the most powerful people in England. From Dodger’s encounter with the mad barber Sweeney Todd to his meetings with the great writer Charles Dickens and the calculating politician Benjamin Disraeli, history and fantasy intertwine in a breathtaking account of adventure and mystery. 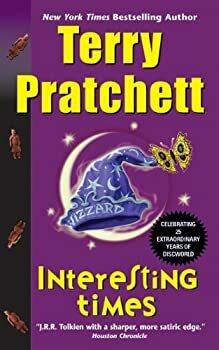 Beloved and bestselling author Sir Terry Pratchett combines high comedy with deep wisdom in this tale of an unexpected coming-of-age and one remarkable boy’s rise in a complex and fascinating world. 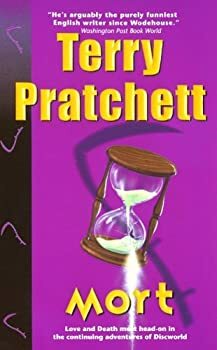 A Blink of the Screen: Collected Shorter Fiction — (2012) Publisher: A collection of short fiction from Terry Pratchett, spanning the whole of his writing career from schooldays to Discworld and the present day. In the four decades since his first book appeared in print, Terry Pratchett has become one of the world’s best-selling and best-loved authors. Here for the first time are his short stories and other short-form fiction collected into one volume. A Blink of the Screen charts the course of Pratchett’s long writing career: from his schooldays through to his first writing job on the Bucks Free Press, and the origins of his debut novel, The Carpet People; and on again to the dizzy mastery of the phenomenally successful Discworld series. Here are characters both familiar and yet to be discovered; abandoned worlds and others still expanding; adventure, chickens, death, disco and, actually, some quite disturbing ideas about Christmas, all of it shot through with Terry’s inimitable brand of humour. With an introduction by Booker Prize-winning author A.S. Byatt, illustrations by the late Josh Kirby and drawings by the author himself, this is a book to treasure. 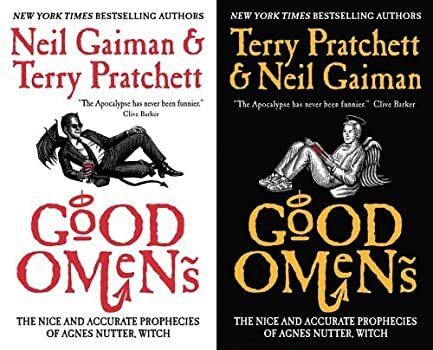 CLICK HERE FOR MORE TITLES BY TERRY PRATCHETT. Just an hour ago Sir Terry Pratchett's publisher, Larry Finlay, announced Terry's death. He was diagnosed with early onset Alzheimer's Disease in 2007, but found ways to continue writing even after he lost the ability to type. Terry Pratchett will be remembered for his DISCWORLD novels especially. Though they may seem like goofy satires and parodies, they are always deeply thoughtful and often emotionally striking. And they almost always include more pithy phrasing than any one person should have been allowed to craft. I discovered something about myself by reading Pratchett’s Women, which is always a worthwhile thing. What I discovered was that, although I rejoice greatly at the presence of strong female characters in a book, I don't necessarily notice their absence as much. Now that I'm aware, hopefully that won't be true so much.